"The Modern Survivalist" On Kindle! Is Preparedness a waste of Time? Hey guys, here’s the link to the interview I did with Mark Goodwin from Prepper Recon. Mark is the author of The Economic Collapse Chronicles. NASA says there is an estimated 12% chance of a "Carrington-class" event (solar storm of 1859) occurring between 2014 and 2024. 12% of getting hit every 10 is maybe not the worst odds but they are still bad enough and deserve at least some pondering so lets do just that. Quoting from The Hitchhiker's Guide to the Galaxy: Don’t Panic. Really, chances of getting hit are low, and even if we do the magnitude and which parts of the world are affected the most will vary greatly. Worst case scenario we’re looking at entire continents suffering significant damage to their power grid. With most of the infrastructure depending on electricity that’s not very encouraging but its not the end of the world. Most sensitive electronics would suffer significant damage as the grid goes down. Keep in mind that we can get up to a 3 day warning, between the moment the Coronal mass ejection or flare is detected in the sun and it actually hitting Earth, so most developed nations will be able to take at least some steps to absorb the damage as best as possible even if they don’t disclose the info to the general public to avoid civil unrest, like they did last time. We’re basically looking at having alternative ways of heating, cooking, communicating, transportation and pumping water. This isn’t that different from a power outage scenario where you don’t have electricity. 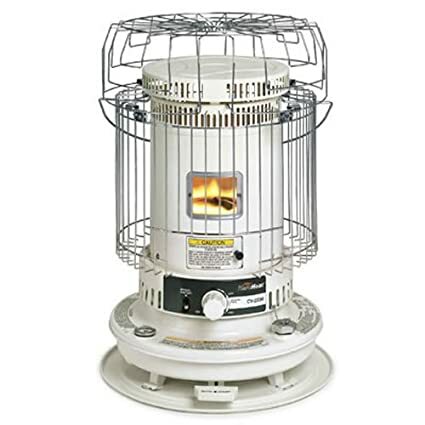 For staying warm, and for those that don’t have wood burning stoves and fireplaces, the kerosene heater is a great solution. You should have one of these already anyway. Either get one from Amazon or keep an eye out for one in flea markets or garage sales. If you’re not familiar with kerosene heaters check this video I did as aquick intro. 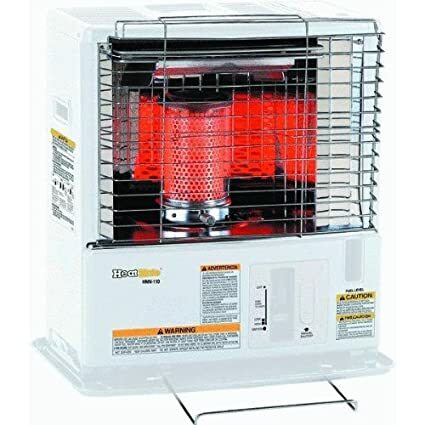 Kerosene heaters are relatively cheap, EMP proof since there’s no electric components in most of them, safe, very simple to use and dependable. They are much more efficient than generators too when it comes to converting fuel to heat and you can even cook with some models. This is the one I recommend, lots of heat and you can cook on top of it. For smaller houses and apartments I recommend this other model. Of course lighting would be another issue to tackle. 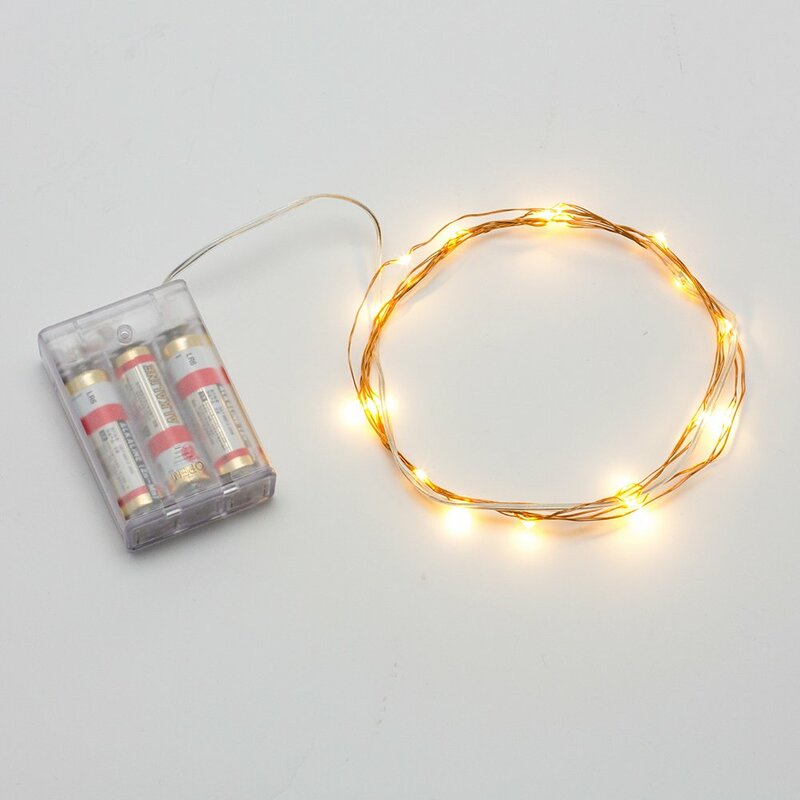 Besides flashlights and lanterns, a good idea is to get some cheap string lights and some AA batteries would work nicely for general illumination around the house. 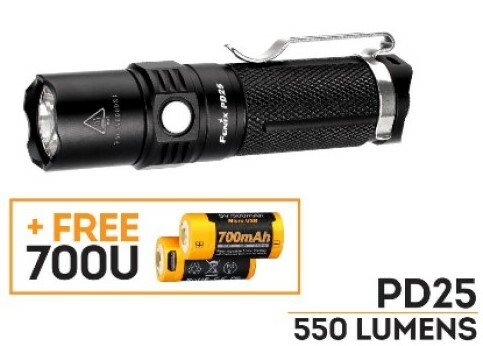 It goes without saying that during an extended blackout, maybe with some civil unrest on the streets, you need supplies to stay put until things go back to normal or at least calm down. You will need food (that requires no cooking or at least can be cooked fast, for this I like pasta) canned food, and don’t forget to store plenty of water. People think electricity is the problem, but its not, the real problem during an extended widespread blackout is the lack of water, so store plenty of it in any bit of space you have available use everything from drums to soda bottles under the stairs filled with tap water. If things get REALLY bad, you’ll thank me one day. Of course, you need a weapon to defend yourself. At least have one firearm at home. Ideally you should own a big bore pistol you received proper instruction on how to operate, if nothing else get a simple revolver that while mechanically more complex has a more simple user interface. For EMP specific preparedness you want to keep at least some of your electronics safe, just in case. For that you need a Faraday Cage or Box which is fairly simple to build and test. Basically you need to keep the gear in a metal box, fully surrounded by metal. Even a wooden box wrapped in metal foil will work. Ammo cans have rubber sealed which prevent it from fully wrapping the equipment in metal. A crude way of testing is turning on a radio or leaving a phone inside and calling. It should not be able to pick a signal. Sometimes removing the rubber works but make sure you test it. Inside this box at least have a FM radio, a couple LED flashlights and batteries. 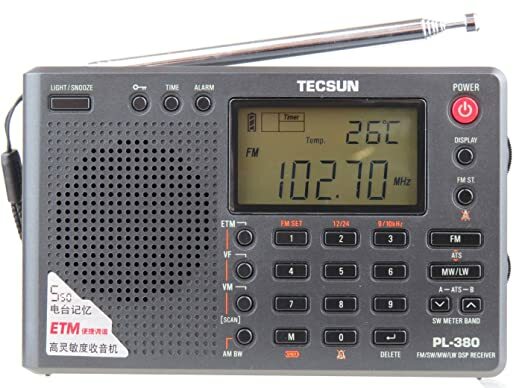 If you can, include a UHF/VHF radio and a world band radio, which are pretty affordable. World band radios can pick up signals from far distant countries and should the worst happen a world radio in a Faraday cage is cheap insurance. A plan for what to do if a disaster strikes and communications are lost. Where family members go depending on the event taking place, what routes to take, who’s picking up who are some of the strategies to be discussed, each family member’s role clearly explained and everyone’s responsibilities understood. In most cases, the strategy will be to get everyone home as quickly as possible and shelter in place during the duration of the emergency. Depending on the magnitude of the disaster it may be days or weeks until power is restored, we just don’t know. Keep in mind that repair crews and emergency services will focus their efforts so as to help the most people per hour. This means that just as we see during storms, larger population centers may get power back quicker than some of the most distant smaller towns. Since there is no way of knowing how bad the event may be and how long it may take until order is restored plans so as to bug out or even relocate abroad during a worst case scenario must be in place as well. Some cities are simply impossible to live in for extended periods of time without power. Power is needed to pump water, heat with and run AC, pump sewers, even move people in elevators. A powerful enough solar storm can in theory ruin the infrastructure to a degree that it may take months to rebuild, along with a devastating economic damage. In such as case it may be advised to move somewhere else, maybe even move to another country that hasn’t been affected as badly. methods of heating your home since you moved to Europe. heating 99% with a hand fired coal stove for the past four winters. option for you to look at. and shake down the ash once a day. warm for our return from the hospital. Hope you and your are well! Sounds like it'd be pretty bad... and a 12% chance of it hitting in the next 10 years is not small. Would you recommend anything different to be prepared for such an event? PS Bought your new book, and left you a glowing review on Amazon. Hi! First of all thanks for the review. I’m glad you liked my new book. The 5 Star review helps a lot so I do appreciate it! Such an event would fry electronics so as often stated its better to keep gear and tech as simple as possible. Depending on where it hits and the magnitude we could be talking about most States being left without power for weeks, maybe months. Then again, the bulk of it may land in the middle of the Pacific or Atlantic, resulting in very limited damage to the infrastructure. There’s simply no way of knowing. Regardign how to prepare for such an event, start with the basics for sheltering in place (bugging in) covering the most likely disasters first and go from there towards the least likely ones. 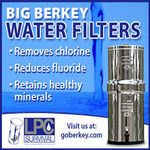 Plan for long periods of time without power and communications, maybe even without tap water. Your gear should cover the essentials: Staying warm, protecting yourself, having water, food and means of cooking it. Have plans in place in case you have to bug out in a hurry. Make sure you have a potential bug out abroad location in case you may have to leave the country, even the continent due to the event. Fires due to busted lines and centrals are likely and no doubt the services will be overwhelmed. At least in this case, towns and cities with lower population would be an advantage. Yes, Argentina is about to default again, very sad news. This will only make the country lose eve more credibility, weakne the currency even more, send inflation through the roo and well, just make things worse for Arngentina and everyone in it. You guys asked for it so for a very limited time only, “The Modern Survivalist” will be available on Kindle! At that price range, authors make about half the money selling on kindle than in paperback books. I know, makes no sense, but that’s Amazon some times. 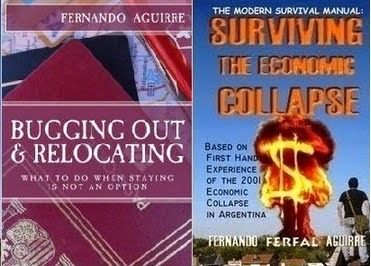 Also, and just for today,“Bugging Out and Relocating”(kindle version) for $4.97! If you didn’t get it already, this is it. Sounds like one of those cheesy infomercials but all of the above is true. The benefits of a calorie restricted diet aren’t new. Rats being fed a calorie restricted diet lived twice as long, were more active and overall healthier. The recent findings published about studies done in monkeys may be even more relevant. Long story short a 30% reduction in calories while maintaining good nutrition roughly extends your life by 20%, reduces the rate by which you age and allows you to live much healthier while alive. This is all of course strongly linked to survival and preparedness for obvious reasons. Living 1% longer sounds pretty good, but if we’re capable of stretching it to 10% or 20% and not only that but also be healthier while doing so then the benefits start piling up. Eating less also means spending less money on food, which directly puts money in our wallet for supplies, gear and of course savings. It’s not hard to combine the different benefits with our modern survival plans: We want to live longer, be fit and healthy, save money and stockpile the necessary supplies. Bulking up our supply of wholegrain rice, lentils and canned vegetables means we are buying some of the most affordable food in stores, food that also happens to be high on nutrition but low on calories AND happens to store well, ideal for long term food supply for emergencies. Eating little of it at a time means we’re abiding by another important survival rule: Store what you eat, eat what you store. Regarding the first question there are several ways of estimating your caloric need but this link would be a good way to start. Regarding how many calories you’re eating I suggest downloading a calorie counter app for your phone. They are simple enough to use. After some time you get the hang of it and have a pretty good idea of what you are eating. Having a mostly plant based diet will make things easier since they have good nutrition value but are usually low on calories. I would suggest minimizing the amount of meat consumed as well and sticking to lean meat such as chicken or turkey breast or meat with good fat like salmon and tuna. If you want to give it a try using some of that rice and lentils you should have stocked up by now, check some out one of my favorite recipes, lentil stew.